The Rutland House was the first building moved to the current Historical Museum and Village site in 1984. 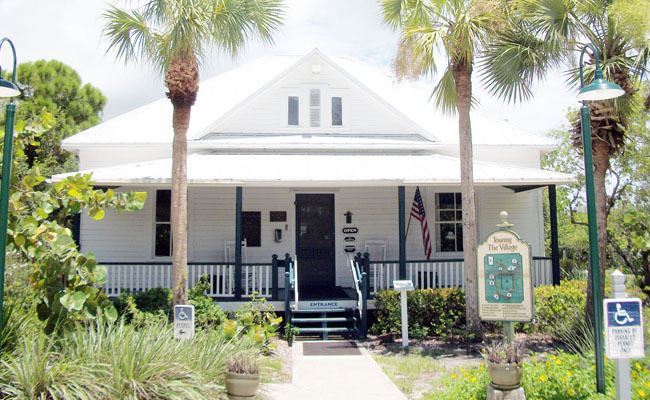 The house, built in 1913 in a typical “cracker” style (“cracker” being derived from the sound Florida cattlemen made when cracking their whips), is made of hard Florida pine. The house originally stood on Periwinkle Way (where the trailer park is now) above ground on pilings made of concrete and beach sand. This protected the house from floods and allowed the air to circulate. Clarence Rutland came to the island with his parents in 1896 at the age of six and was a jack-of-all-trades. In the 1920s he earned seven cents per crate packing tomatoes and peppers for farmers and resided in this house from 1928 to shortly before his death in 1982. “Uncle” Clarence and his wife, Ruth, are fondly remembered by islanders.